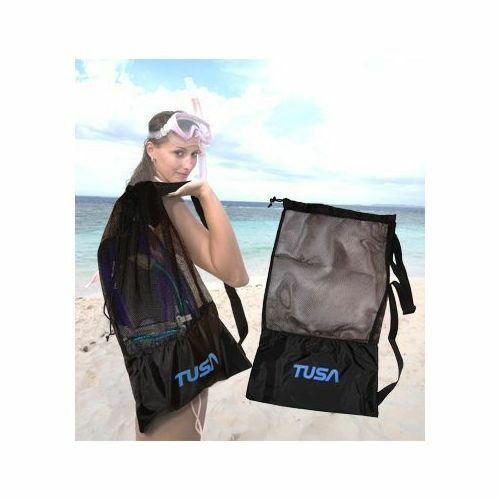 The new Tusa mesh bag is durable and practical - not to mention looking great! Sporting the Tusa logo, the drawstring feature keeps your kit in one place while the solid bottom keeps any potential seepage to a minimum. The perfect size (72cm x 43cm) with enough room for all your snorkel gear but easy and light enough to carry with the shoulder strap.